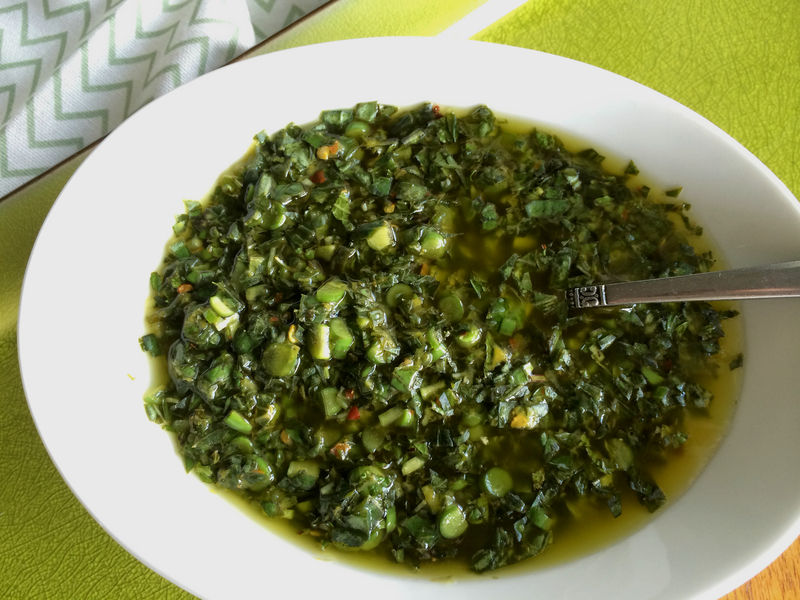 Gremolata is an herb condiment typically made with lemon zest, garlic and parsley. You don’t need to lug out the food processor for it, just chop everything really fine. Gremolata is different than pesto in that it doesn’t use as much oil, doesn’t contain nuts or seeds, nor cheese like pesto typically does. But, similar to pesto, you can put it on just about anything or use up leftovers by turning it into a vinaigrette (just whisk in white wine vinegar, a little more oil and some dijon mustard). 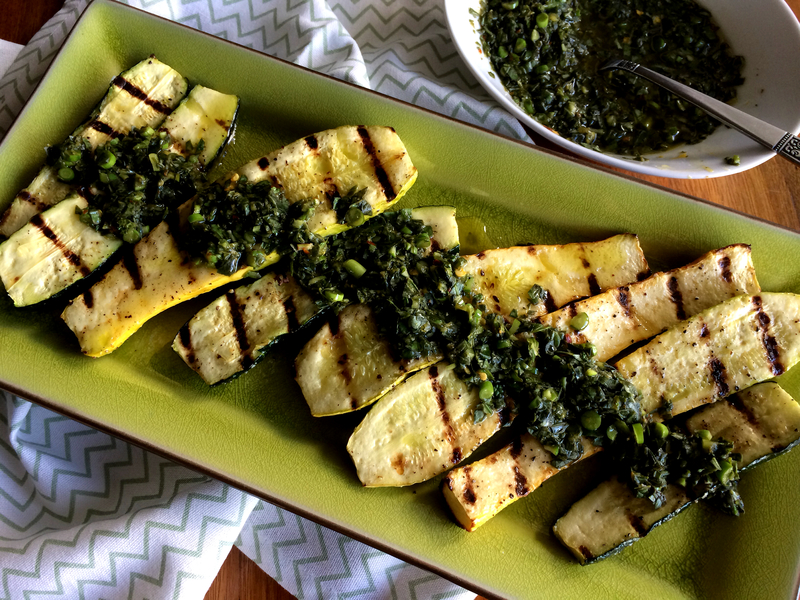 This recipe makes extra gremolata specifically for that reason…you’ll want leftovers! In a small bowl, add the basil, mint, lemon zest and juice, and garlic scapes; stir well to combine. Add the remaining ingredients and stir well. Let sit at room temperature for 20 – 30 minutes while you prepare the squash; this allows the flavors to meld. Heat a grill to medium. Trim the ends of squash then cut in half lengthwise. 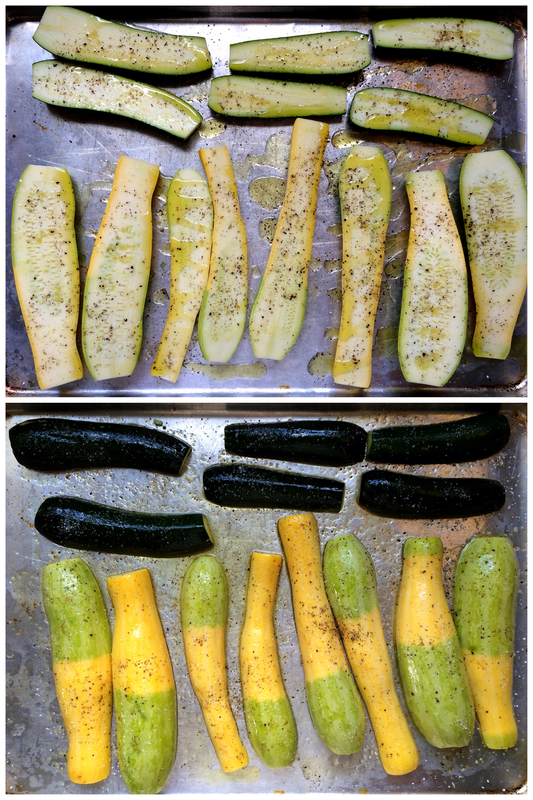 Lay the squash on a large rimmed baking sheet and drizzle with olive oil, salt and pepper. Flip over and repeat on the other side. 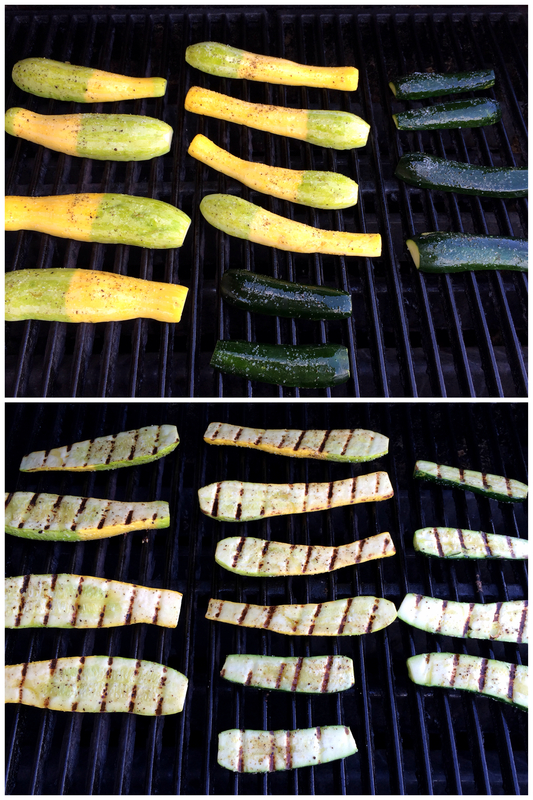 Place the squash cut side down on the grill and grill for 5 – 10 minutes, depending on the size of the squash. Flip over and grill another 5 – 10 minutes. 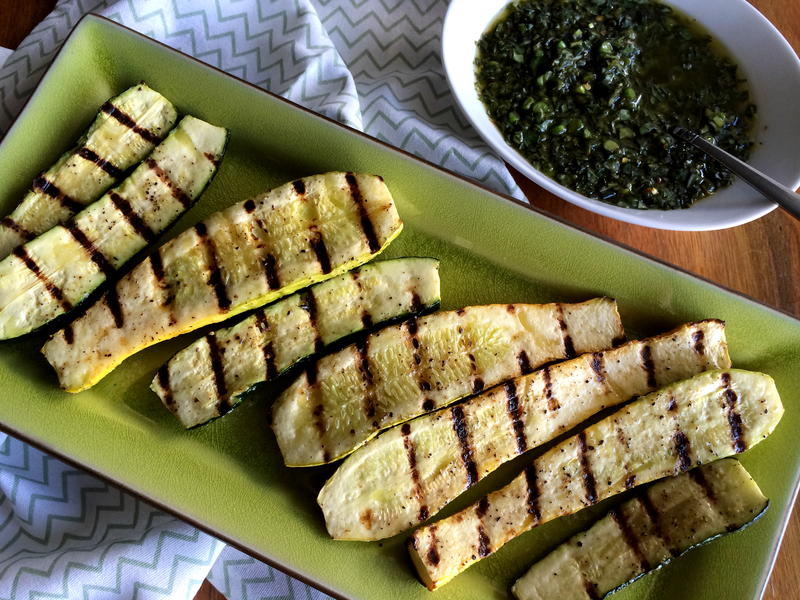 Remove the squash from the grill and serve with the Basil – Mint Gremolata. Enjoy!